Whether you’re curious or seeking inspiration in a moment of deep emotional distress, your willingness to open your mind may be the catalyst for cracking your world wide open, showing you the magic that has been there all along. While science can’t explain every story in this book, the 21 brave authors paint a picture for you, and put you into each scene so you can decide for yourself. What if there is magic all around us but we just don’t notice it? We often disregard certain coincidences, chance meetings and amazing synchronicities. But what if these are evidence of magic or a mystical connection to another realm? 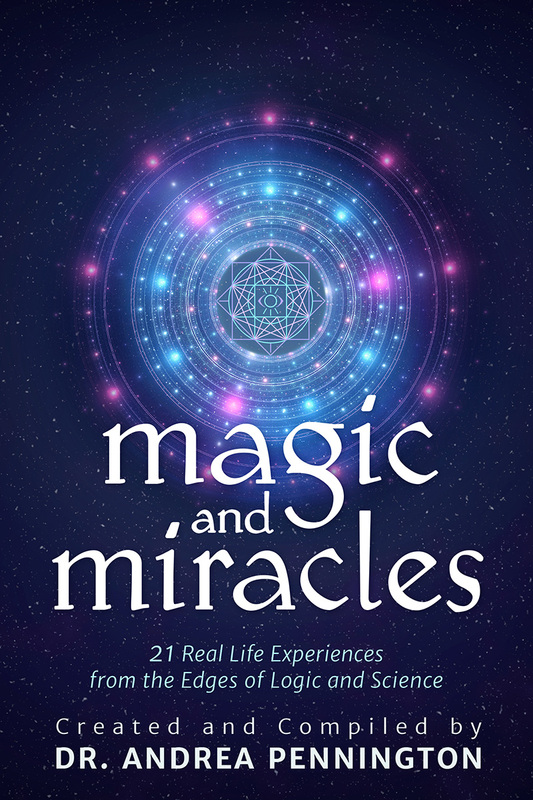 In Magic & Miracles, Dr. Andrea Pennington presents 21 real life stories of people from various backgrounds and cultures who have found unseen forces supporting, guiding and healing them in their darkest hours. These stories cover events ranging from spontaneous experiences of divine love and recovering from childhood abuse, to personal struggles with identity and life purpose. What these stories all have in common is how they demonstrate that there are mystical forces and supernatural powers that can help us navigate the often troubled waters of life. There is great hope and inspiration to be found here. Will you feel the magic too? We Bought a Farm – But We’re Not Farmers!